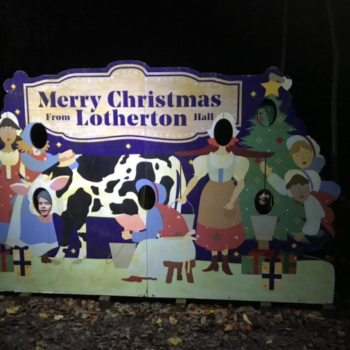 Last night Mumbler were invited down to the Lotherton Christmas Experience, which opens to the public tomorrow. 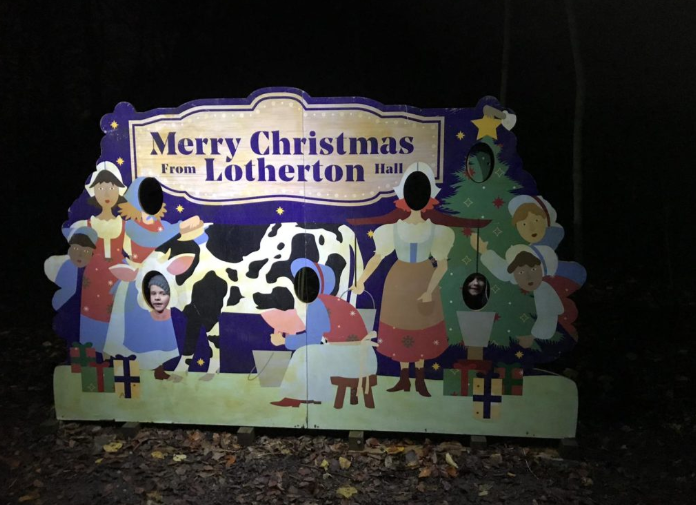 As one of the main attractions in Leeds at Christmas time, there are always high expectations of Lotherton. And we’re happy to say that yet again, this year’s Experience doesn’t disappoint! 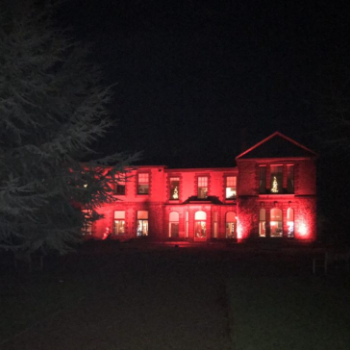 Entry to the Christmas Experience is £7 per person, £3.50 per child, or £21 for a family ticket. 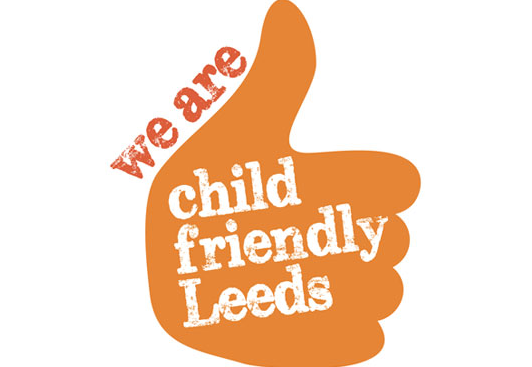 Children under 4 are FREE. 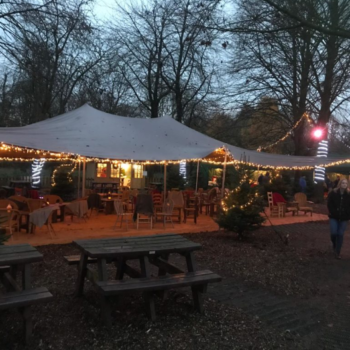 For that, you get access to the Elf Village, The 12 Days Of Christmas Woodland Walk, The Fairy Dell, Winter Wonderland Courtyard, House, Play Areas and Wildlife World! 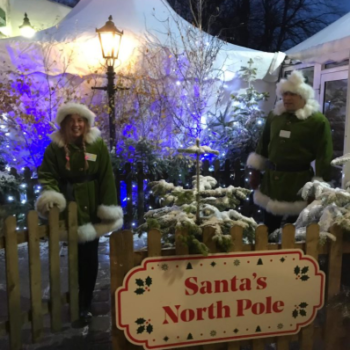 Additionally, you can take a trip to the ‘North Pole’ and visit Santa and his Elves for an extra charge (if you’ve booked to see Santa, all of the above is included in the price of your booking). However, even without the trip to Santa, this is a full day out for the family at a very reasonable price. 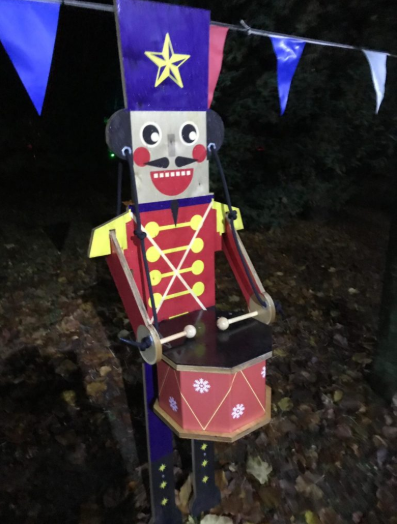 The quality of what you’ll see and experience is excellent too, with beautiful lights, amazing decorations, interactive exhibits and Christmas characters popping up across the estate. 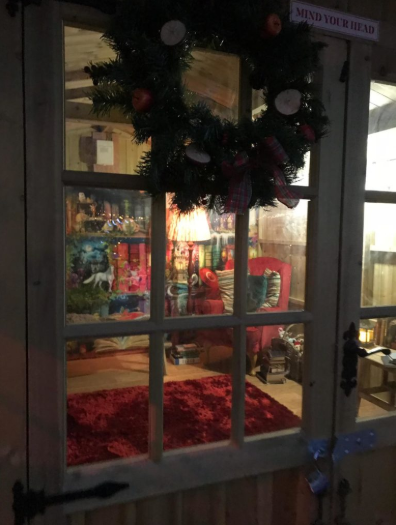 There are additional activities that children can do in the Elf Village including pottery painting, decoration making and story times read by a Christmas Elf. The activities are £3 each, or you can do all 4 for £10. Again, even without doing the activities there is still lots to do. It opens on the 23rd November and runs until 23rd December, with late opening (until 7 pm Sunday – Thursday and 8 pm Friday – Sunday) meaning you can take in the magical surroundings in the dusk as well, which is when the Woodland Walk really comes into its own. We took an 8-year-old, 5-year-old and a2-year-old. It was suitable for all of them, although we bought the pushchair for the youngest on the Woodland Walk and it was all fully accessible. Here’s a little taster of what you’ll get to experience…. 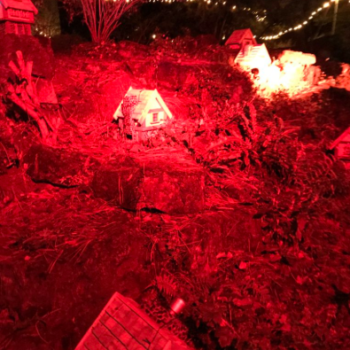 The Elf Village has been set up next to the play area. 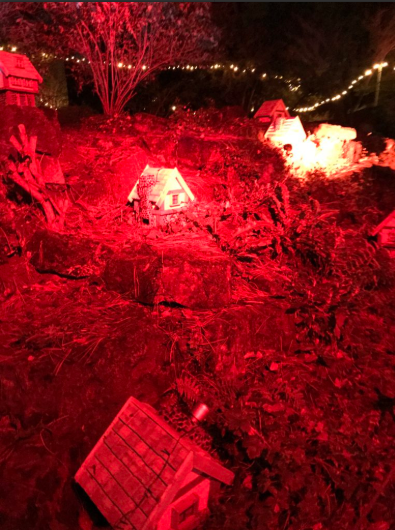 It’s a lovely, cosy set up of log cabins and twinkling lights, all manned by Santa’s Elves. 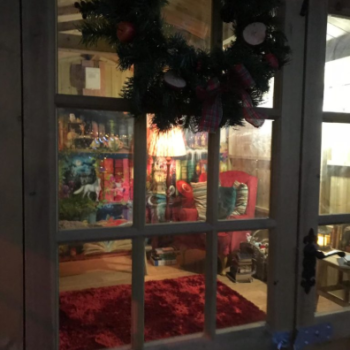 The cabins are a mix of market stalls selling Christmas gifts, plus 4 indoor activities for children to take part in; story time, pottery painting, plate decoration and Christmas decoration making (as above, these activities are charged in addition to the general admission fee). 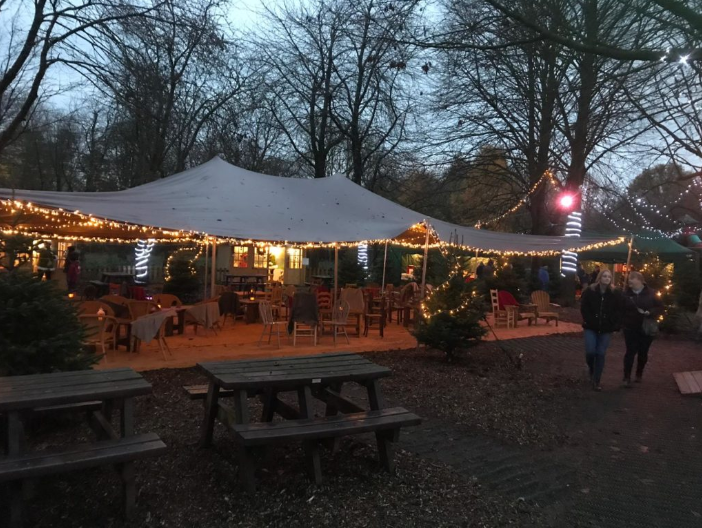 You can get hot and cold drinks and hot-dogs from one of the cabins, and additional food is available at the Courtyard cafe. Tokens for the activities can also be purchased from The Little Christmas Shop. 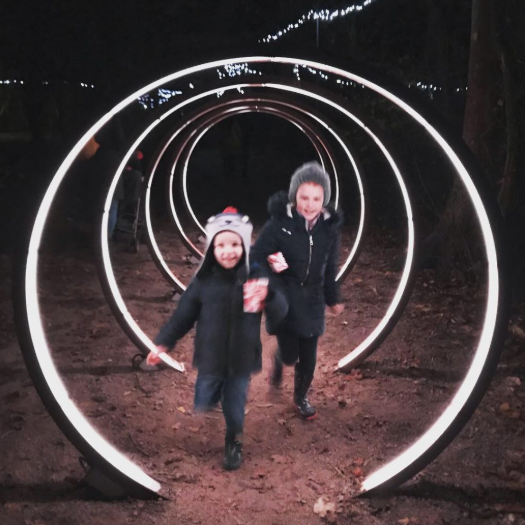 The Woodland Walk is based around the 12 Days Of Christmas and was definitely our favourite bit. It takes you on a loop past the play area, through the woods, and into the formal gardens. 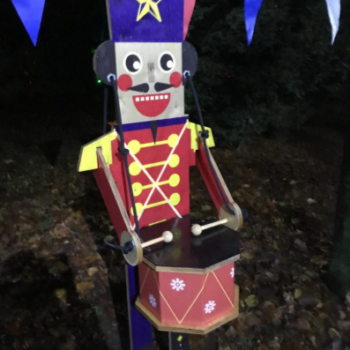 There are 12 interactive ‘stations’ for the children to play at, including playing a giant organ, hook a duck, a coconut shy style game and the chance to join the 12 Drummers Drumming. It took us about half an hour to complete, bearing in mind we were there when it was quiet though, so there no queues to have a go on anything. We also did the walk at dusk, which was definitely the best time to do it so you can experience all of the beautiful lights in the trees. All areas of the walk are flat and pushchair accessible, although it was muddy in places. The Woodland Walk finishes at the Fairy Dell, with lots of fairy houses and scenes set up around the rockery areas. These are lit with amazing lights, so again, definitely best experienced at dusk. The Fairy Dell was not easily accessed with the pushchair though, so we left it and walked through. Wow! The house looks stunning both outside and inside and won’t fail to get you into the Christmas spirit. 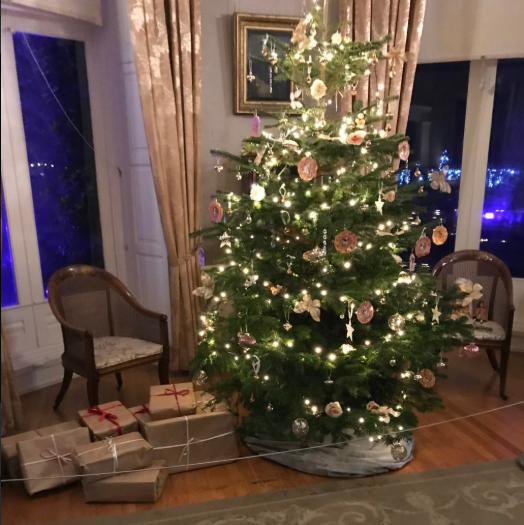 Whilst I was in awe of the beautifully decorated rooms and trees, a trip around the house wouldn’t be wasted on the kids as there is a section where they can dress up as a festive Edwardian before taking a selfie. If you wanted to take some time out and enjoy a story together there are Christmas themed books available to read as well as lots of Christmas hats for children to have fun trying on! We have seen a fair few Santa’s over the years but if you’re looking for a ‘top draw’ Santa experience you won’t be disappointed. 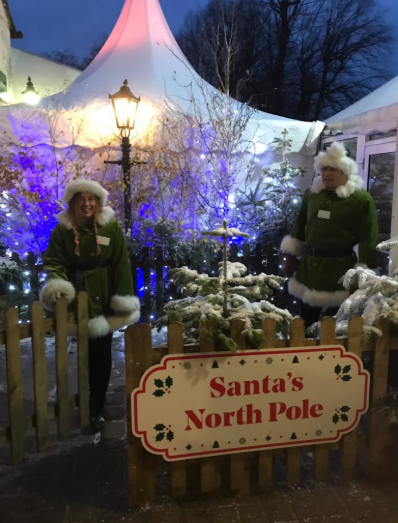 The friendly elves meet you at the entrance to the North Pole and have a little chat with the children before you follow the magical fairy lit trail into Santa’s workshop. 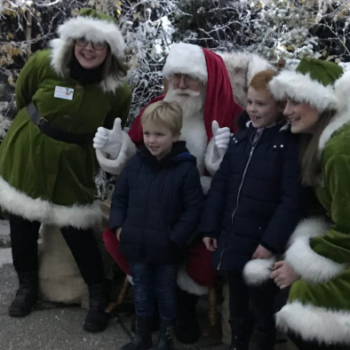 The cheeky elves interact lots with the children throughout the visit and the children get to help them in the Elf workshop. When we visited we made reindeer food with the elves. 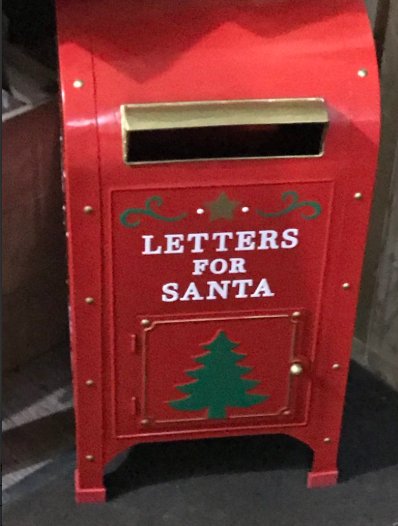 You then progress further into the North Pole and children get the chance to write a postcard to Santa, again the elves were on hand to chat with the children and made the experience very personal. 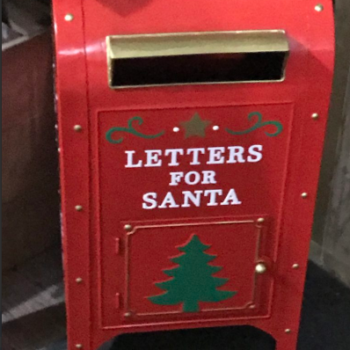 Children then get the chance to go into Santa’s grotto and have a chat and photo opportunity with him before receiving a small present (which was age appropriate). The Santa looked just like children see in the books and my two were captivated and came away buzzing! We were advised that normally the full experience would last approx 40 minutes. 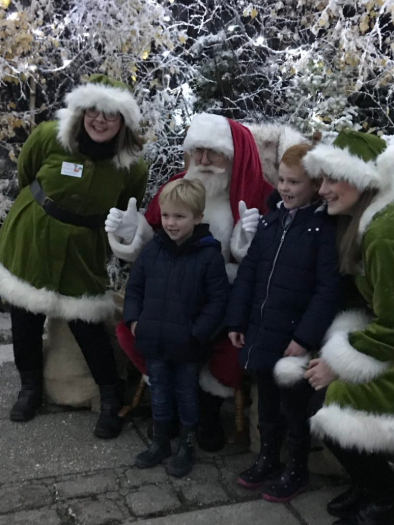 Visits to see Santa on weekends in December are now fully booked but you can visit him after school and pre-schoolers can visit Santa in the Elf Village on Tuesday’s and Wednesday’s between 11am-2pm. This is no pre-booking for the pre-schooler sessions and you just need to get a ticket from The Little Christmas Shop when you arrive. 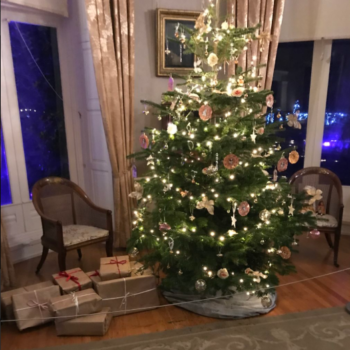 In summary, The Christmas Experience is a great way to spend time as a family (a great one to do with grandparents as well) with a good mixture of activities including interactive trails, crafts, storytime, opportunities to burn off energy in the parks and visits to the animals as well as the opportunity to see Santa. The toilets are in the courtyard area, we would recommend a visit before setting off on the Woodland Walk! Lotherton is situated off Collier Lane which is just off junction 47 of the M1. If you are using a route planner the postcode is LS25 3EB. *Prices quoted are for tickets booked online, prices on the gate will be slightly more. *Mumbler was not paid for this review, although we were given free entry on the preview evening. All views and opinions expressed are our own and are open and honest.